If you’re one of those guys who like to keep a bunch of survival gear home, you should look into compact gear as well. Let’s face it, if something monumentally bad happens, chances are you’re going to be away from home, and, even though your bug out bag is well-equipped, it won’t be anywhere near you. For these situations compact survival kits are much better. 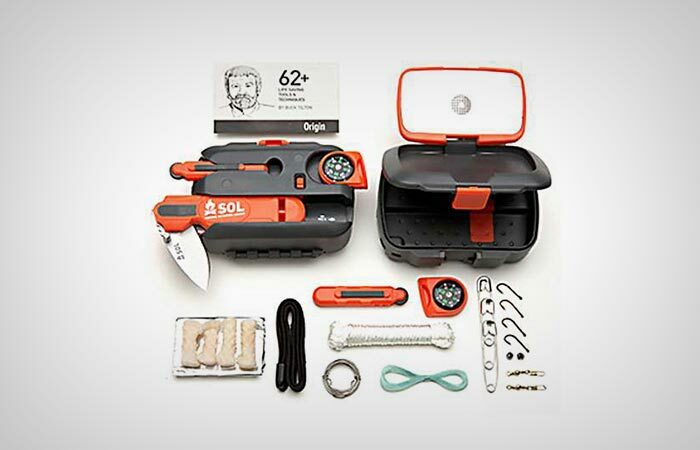 Like the Sol Origin Survival Tool Kit. This kit can be placed in your pocket, small bag or glove compartment and it has just the right stuff for you to survive an extreme situation. 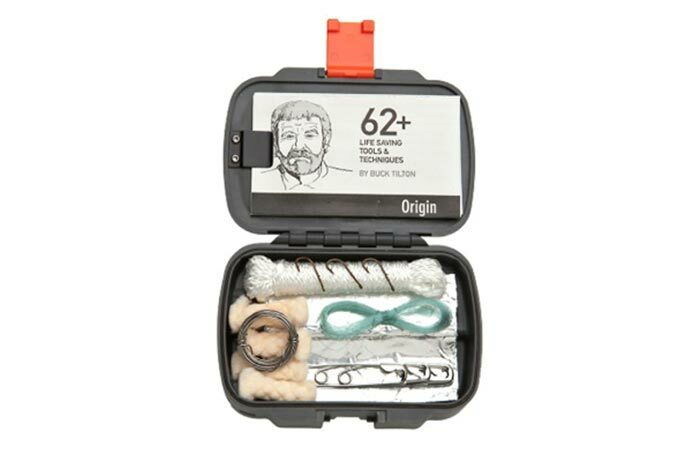 The thing about this survival tool kit is that it’s essentially a case designed to incorporate several main tools in its exterior and hold additional items inside. First and foremost, the lid of this kit is equipped with the best possible signaling mirror (think of it as a lid on top of a lid) with a printed instruction image that will show you the proper way of using one. The bottom of this kit is where its other three very useful tools are located by being securely locked in their slots. You’ll get a firestarter, a directional compass and a 3-in-1 combination tool. The firestarter and compass are pretty straightforward and indispensable tools because you’ll need heat to survive and cook food, and you’re probably going to want to know where you’re headed. As for the 3-in-1 combination tool, it can function as a sharp folding knife with a 1.75 inch drop point blade, an LED lamp and a pealess 100 decible whistle. All three of these tools are brightly colored in case you misplace them. The inside of the case holds many other useful items which might save your life. If you are a novice in the whole survivalist game, you’ll be glad to know that the inside of the survival tool kit holds a survival manual which will help you make use of all the items you have. And these items are a braided nylon cord used for straps, snares and traps, TinderQuick (a flammable substance which will make starting a fire much easier), stainless steel wire, and an emergency fishing and sewing kit. Along with the tools locked in the bottom of the kit, all of this stuff make for a very good survival kit, especially when you consider its compact size (it measures 3.9 x 2.8 x 1.5 inches). 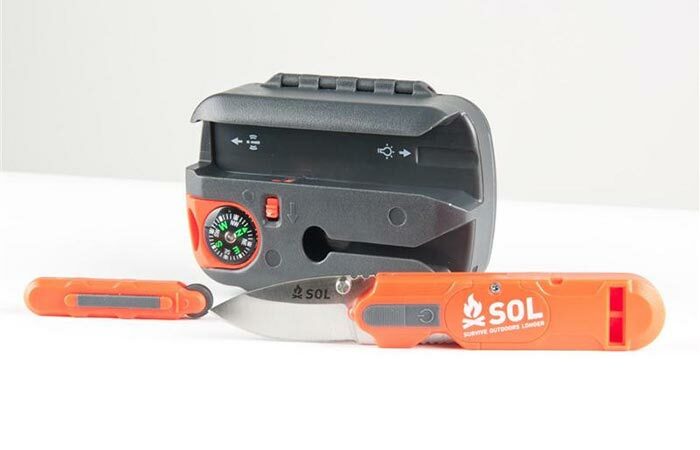 The Sol Origin Survival Tool Kit is definitely a survival tool kit worth considering, for its small size if not for anything else. But it has a decent number of tools which under the right circumstances (or wrong ones, depends on your point of view) can mean a world of difference.